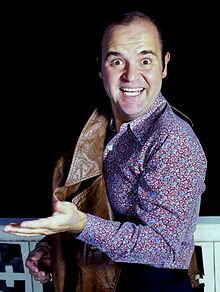 Dominick "Dom" DeLuise (August 1, 1933 – May 4, 2009) was an American actor, voice actor, comedian, movie director, television producer, chef and author. He was the husband of actress Carol Arthur from 1965 until his death in 2009. He was the father of actor, director, pianist, and writer Peter DeLuise, actor David DeLuise, and actor Michael DeLuise. He starred in several movies directed by Mel Brooks. He was in a series of movies with career-long best friends Burt Reynolds. He was a voice actor in most of the animated movies by Don Bluth. DeLuise appeared in The Dean Martin Show. He appeared in more than 100 movies. DeLuise was born on August 1, 1933 in Brooklyn, New York City. His parents were Italian Americans Vincenza "Jennie" (née DeStefano), a homemaker, and John DeLuise, a garbage collector. He was raised a Roman Catholic. He attended The High School of Performing Arts and Tufts University. In 1964, he married actress Carol Arthur; together they have three sons: Peter DeLuise (born 1966), David DeLuise (born 1971), and Michael DeLuise (born 1969). DeLuise lived in Santa Monica, California until his death there on May 4, 2009 He had renal failure due to diabetes and also had cancer. He died from kidney failure and complications of cancer. He was 75 years old. DeLuise is buried next to his parents in New York City. ↑ Grimes, William (2009-05-05). "Dom DeLuise, Comic Actor, Dies at 75". The New York Times. Retrieved 2009-05-06. Wikimedia Commons has media related to Dom DeLuise. This page was last changed on 12 August 2018, at 07:39.